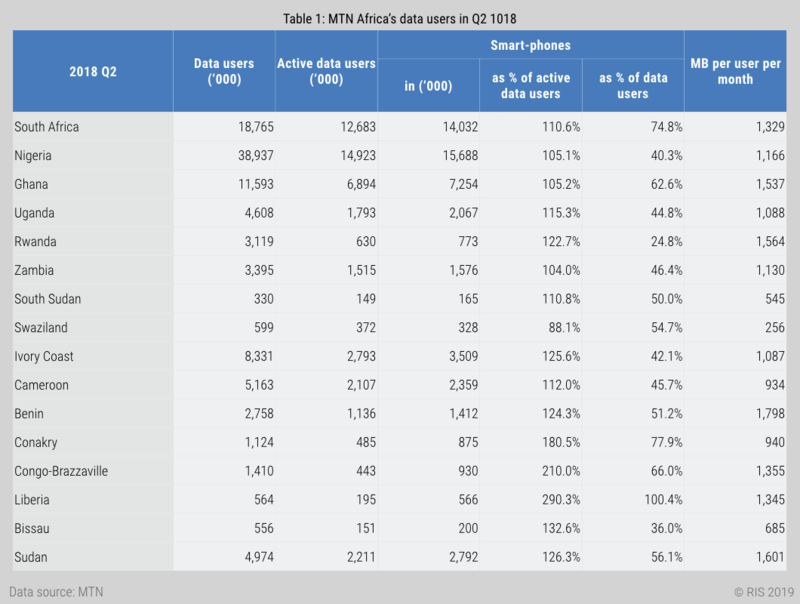 Among all of MTN’s operations in Africa, only Swaziland has a higher number of active data users than number of smartphones on the network (data for Botswana was not available). This implies that smartphone affordability is no longer the main obstacle to mobile broadband use, given that some smartphone owners are not active data users. In Liberia, there are even 3 times more smartphones on the network compared to active data users. For rural Africa, in particular, there are several reasons why smartphone owners may not use data or do so only intermittently. One is mobile broadband coverage. Some smartphone owners may only use data when going to town or getting close to major roads. Another reason could be affordability. A third reason is that the data function drains the battery of a phone quicker. Smartphone users switch off data to preserve battery, if living in an area not connected to the main electricity grid. 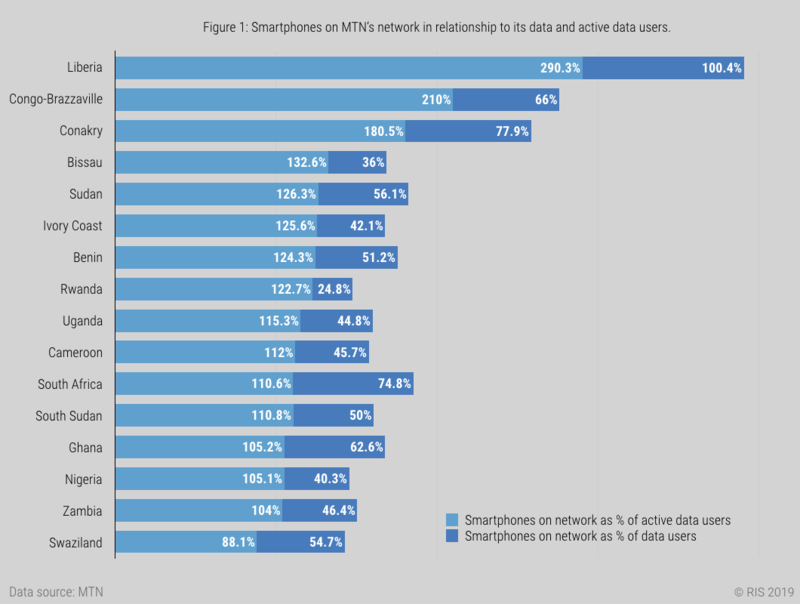 Across all of MTN’s operating countries, only Swaziland has fewer smartphones as a percentage of active data users (Table 1).